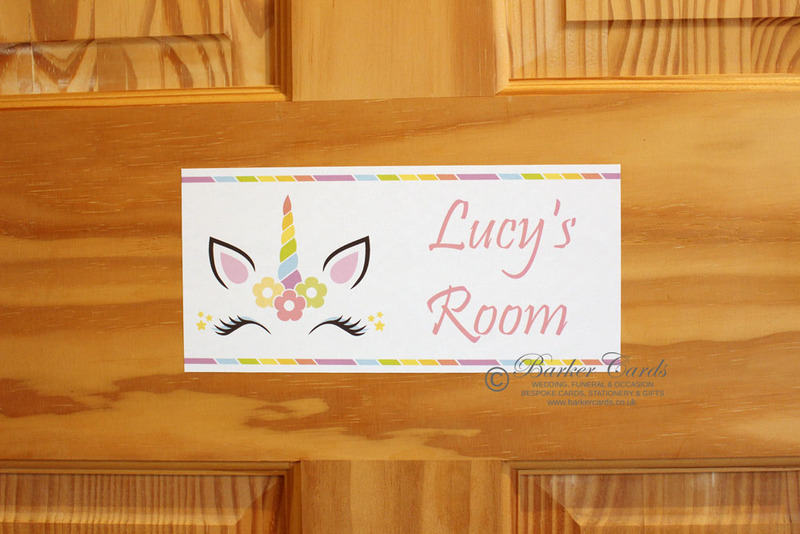 Our childrens bedroom door signs are printed on repositionable fabric that may be stuck directly to your children's bedroom door and removed without damaging the door surface. The advantage of this is that the sign will not swing or knock on the door every time it is opened and closed, and when you child grows out of it you can just peel it off, with no damage to the door or having sticky pads to scrape off! As our door signs and wall stickers are removable, they can be repositioned many times. Signs measure 10cm x 21cm as standard, but we can produce them to fit any style of door - just message us if you need a custom order as we are always very happy to help.